You may have seen the Arancini Brothers pop up at various food markets. 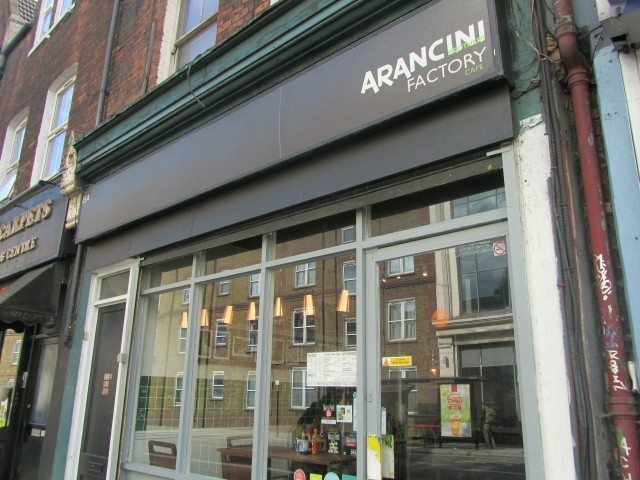 This is one of their cafes called the Arancini Factory situated in Kentish Town. 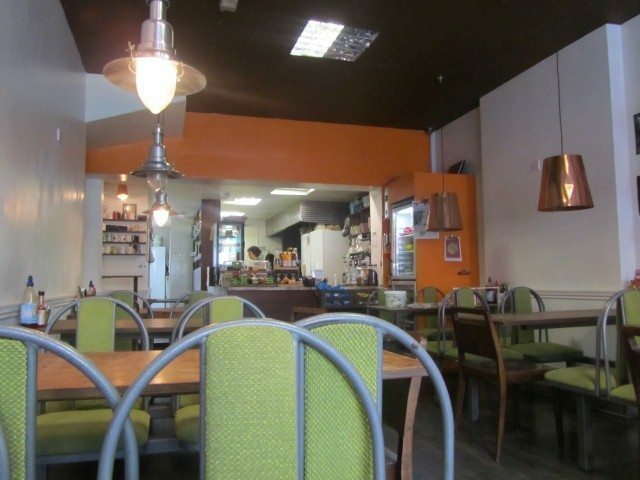 The cafe is fairly spacious with lime green backed seats and wooden tables. Lots of light streams in from the shop front. The kitchen is by the counter at the back of the restaurant. 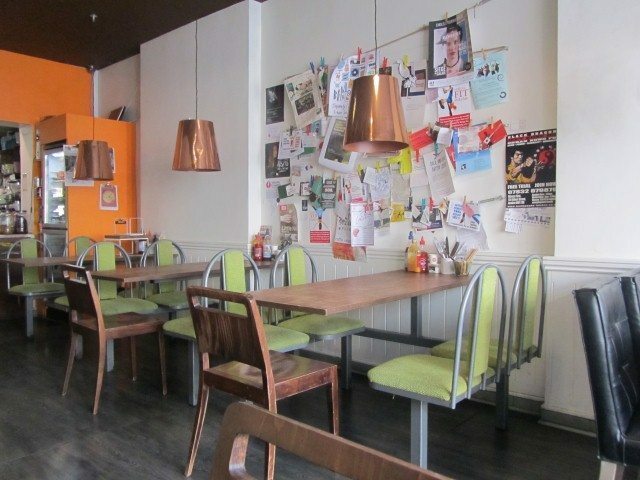 Newspapers, magazines and a notice board have things for you to read while you wait for your food. Soft music plays in the background. The staff were friendly and didn’t mind me asking questions about the menu. The risotto balls at the Arancini Brothers Factory are all vegetarian and they also do vegan ones. The vegan ones differ from the vegetarian ones in that they do not contain cheese or butter but instead have courgette and olive oil. Three risotto balls with salad and garlic mayo are inside a soft tortilla. It comes wrapped in foil and in a paper bag all on a plate. 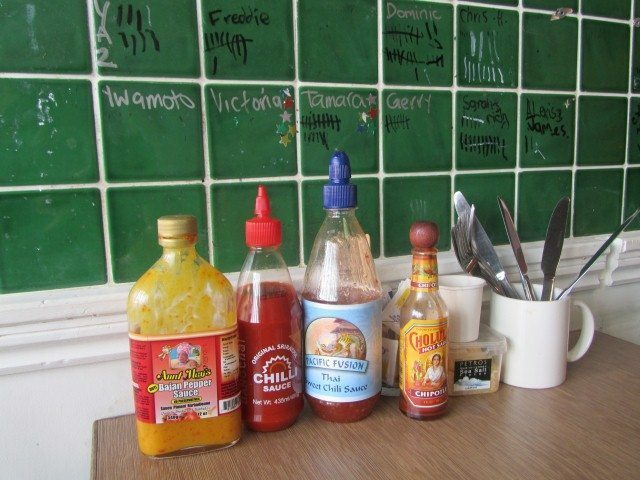 Cutlery and sauces are provided on the tables. The wrap is jam packed with salad which included grated carrot, beans, sweetcorn, peppers, cucumber and mixed green leaves. The vegan risotto balls were delicious. It was nice not to have the cheese in them and also they was a slight spice to them. 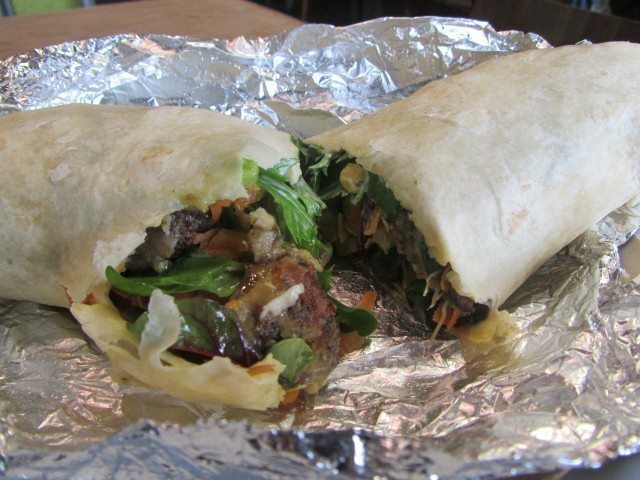 It was pleasantly surprising at how fresh tasting the wraps were even though they had the fried risotto balls. The braised mushrooms with the salad and the risotto balls made a delicious combination. Apart from the wraps, Arancini Brothers Factory also do hot stews, salads or you can just have the risotto balls served on their own with chutney. 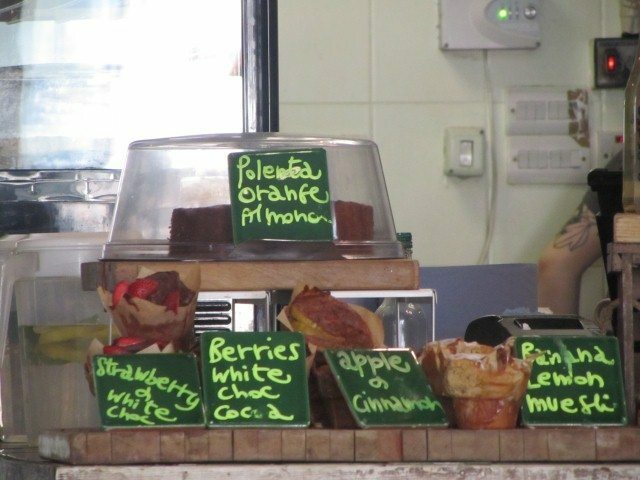 Cakes, muffins, teas and coffees are on offer. Cute tiles are on the walls where people have signed how many times they have visited. It shows that Arancini Brothers Factory is a popular place! If you fancy something for breakfast, then come before noon on weekdays or anytime on the weekend. Here the risotto balls are teamed with bacon, egg, mushrooms, roast tomatoes, crispy onions and the Arancini Brothers signature breakfast mayo!